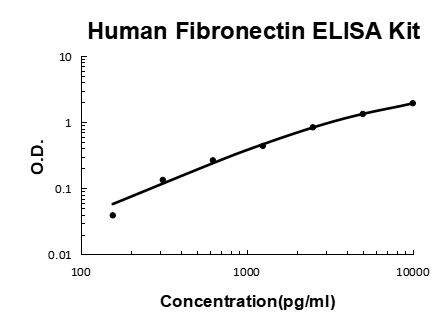 Sandwich High Sensitivity ELISA kit for Quantitative Detection of Human Fibronectin. 96wells/kit, with removable strips. Plasma FN (soluble dimeric form) is secreted by hepatocytes. Cellular FN (dimeric or cross-linked multimeric forms), made by fibroblasts, epithelial and other cell types, is deposited as fibrils in the extracellular matrix. Ugl-Y1, Ugl-Y2 and Ugl-Y3 are found in urine. .
Fibronectin(FN) also known as LETS, is identified on the surfFN of fibroblasts by labeling with radioactive compounds or specific antibodies. Fibronectin is a 430,000-dalton dimeric glycoprotein that exists in 2 forms, termed cellular and plasma fibronectin. Cellular and plasma fibronectins are heterodimers consisting of similar but not identical polypeptides. These two forms of FN differ in biologic activity. Fibronectins bind cell surfFNs and various compounds including collagen, fibrin, heparin, DNA, and actin. Because fibronectin stimulates endocytosis in several systems and promotes the clearance of particulate material from the circulation, it could function in the clearance of C1q-coated material such as immune complexes or cellular debris. Fibronectins are involved in cell adhesion, cell motility, opsonization, would healing, and maintenance of cell shape. LETS, encoded on chromosome 8, is responsible for the LETS protein expression in humans. Because LETS has been implicated in tumorigenicity and cellular transformation, it is of interest that rearrangement or modifications in the number of chromosome 8 have been associated with certain forms of cancer. The standard used in this kit is isolated from human plasma with the molecular mass of 200-250KDa. Sasaki M, Inoue M, Katada Y, Taguchi T. J Mater Sci Mater Med. 2013 Apr;24(4):951-8. Doi: 10.1007/S10856-012-4845-6. Epub 2013 Jan 19. Promotion Of Initial Cell Adhesion On Trisuccinimidyl Citrate-Modified Nickel-Free High-Nitrogen Stainless Steel. Lv C, Wu C, Zhou Yh, Shao Y, Wang G, Wang Qy. Int J Endocrinol. 2014;2014:658589. Doi: 10.1155/2014/658589. Epub 2014 Oct 30. Alpha Lipoic Acid Modulated High Glucose-Induced Rat Mesangial Cell Dysfunction Via Mtor/P70S6K/4E-Bp1 Pathway. Gao L, Huang W, Li J. Mol Cell Biochem. 2013 Oct;382(1-2):185-91. Doi: 10.1007/S11010-013-1733-4. Epub 2013 Jun 26. Nox1 Abet Mesangial Fibrogenesis Via Inos Induction In Diabetes. Mao T, Gao L, Li H, Li J. Saudi Med J. 2011 Aug;32(8):769-77. Pigment Epithelium-Derived Factor Inhibits High Glucose Induced Oxidative Stress And Fibrosis Of Cultured Human Glomerular Mesangial Cells. Tang Kf, Song Gb, Shi Ys, Yuan L, Li Yh. 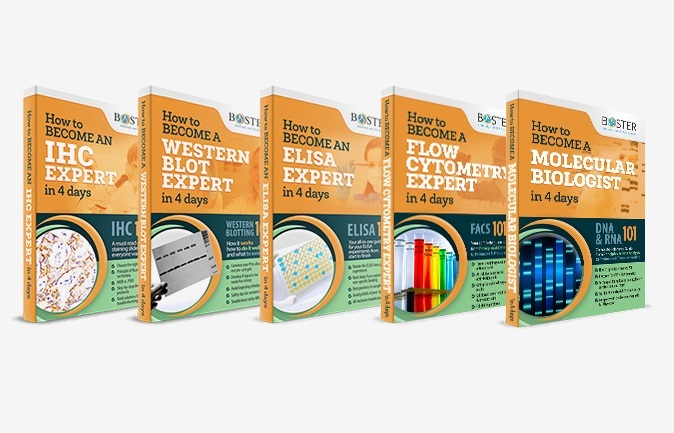 Biochim Biophys Acta. 2010 Mar;1800(3):380-4. Doi: 10.1016/J.Bbagen.2009.11.009. Epub 2009 Nov 13. Dicer Knockdown Induces Fibronectin-1 Expression In Hek293T Cells Via Induction Of Egr1. Xu Ww, Guan Mp, Zheng Zj, Gao F, Zeng Ym, Qin Y, Xue Ym. Cell Physiol Biochem. 2014;33(2):423-32. Doi: 10.1159/000358623. Epub 2014 Feb 11. Exendin-4 Alleviates High Glucose-Induced Rat Mesangial Cell Dysfunction Through The Ampk Pathway. Inoue M, Sasaki M, Katada Y, Taguchi T. J Biomed Mater Res B Appl Biomater. 2014 Jan;102(1):68-72. Doi: 10.1002/Jbm.B.32982. Epub 2013 Jul 13. Quantitative Biocompatibility Evaluation Of Nickel-Free High-Nitrogen Stainless Steel In Vitro/In Vivo. A: None of the reagents in the kit is of recombinant origin. 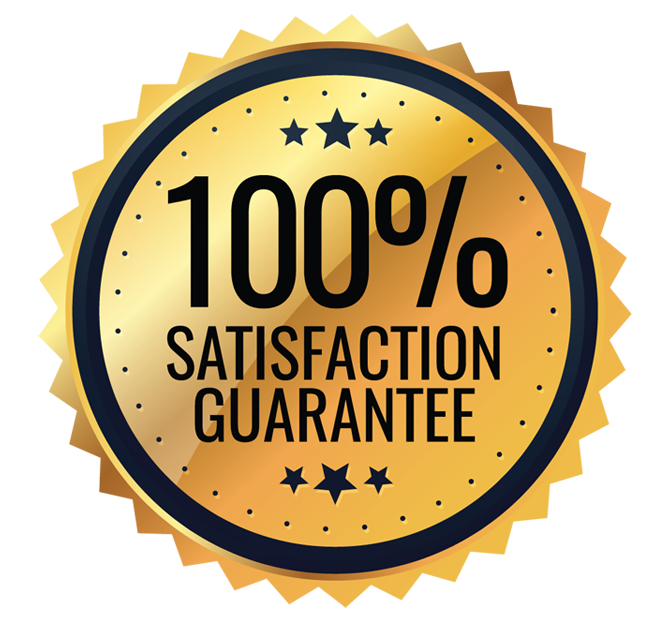 The standard in the kit is natural Fibronectin from plasma.